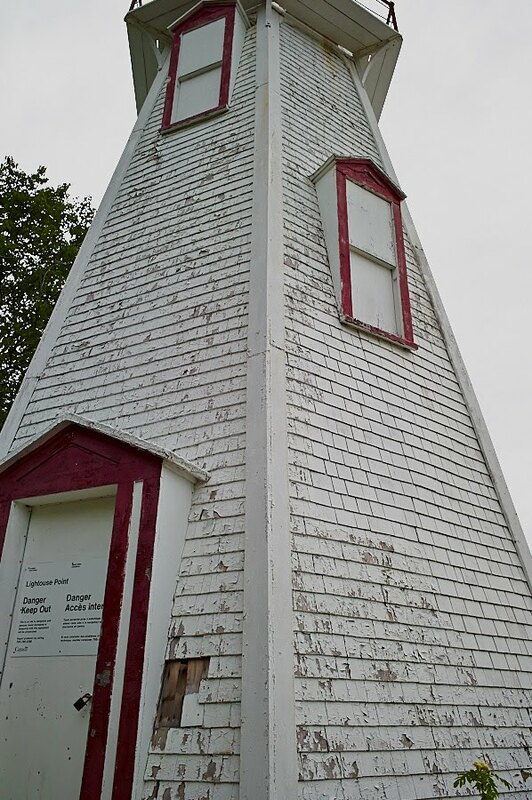 In the winter of 1995, concern over the deteriorating condition of the abandoned light station on Flowerpot Island sparked an interest among volunteers with the Friends of Fathom Five. In the spring of 1996, working in co-operation with the Canadian Coast Guard and Fathom Five National Marine Park this group of dedicated volunteers set to work refurbishing the site and the work continues to this day! For the past twenty plus years, thanks to the generous support and efforts of volunteers and partners, many major projects have been undertaken at the station. Both houses have received new steel roofs along with many coats of paint over the years, a composting toilet has been built, gardens have been reestablished, displays have been developed for the museum and a small shop, offering cold drinks, small snacks, and unique gift items for the visitors has been opened. The lightstation has also gone ‘off the grid’ and all power to the site is solar! Big Tub Lighthouse has been a close-up hands-on treasure in the community since 1885. It was originally built to help guide ships through the waters of Georgian Bay and Lake Huron. The wooden structure is 14 metres tall and is located on the west side of Big Tub Harbour in Tobermory Ontario. It weathered some years of neglect as modern shipping practices reduced the need for shore-based navigational aides. It just needed a local volunteer group to show it some love and it has recently been restored to its former beauty with new windows, faithful reproductive work on details and a fresh coat of Canadian marine white and red paints. It remains a highly visible reminder of the stormy history of the region and a beacon to safe haven in the Big Tub Harbour and its smaller partner Little Tub. The original Friends of Fathom Five financed and installed the walkway out to the Lighthouse, keeping unsuspecting visitors out of the poison ivy that thrives on that point. A special committee of Friends of the Parks recently fund-raised and oversaw the more extensive renovations and continue to maintain the structure. 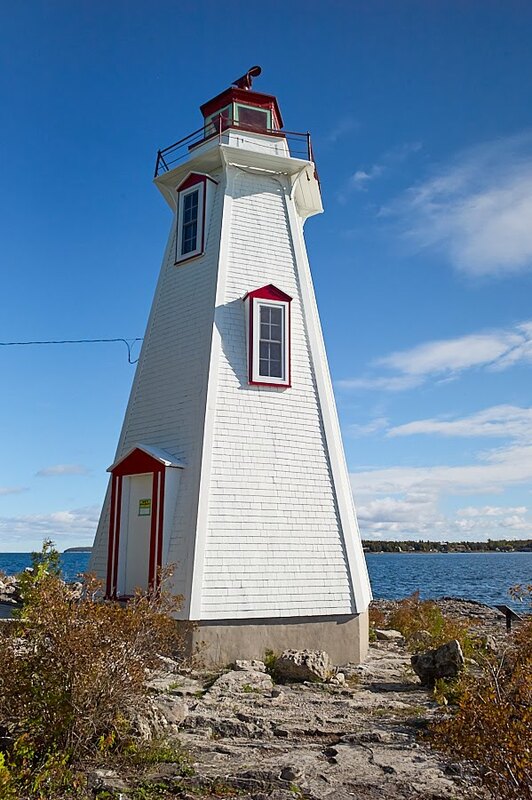 In 2011, Friends of the Bruce District Parks Association established a committee to monitor and care for the Big Tub Lighthouse. A grant from the Regional Lighthouse Group funded some of the interpretive signage at the site that tells more of the story surrounding this local treasure. The Bruce Peninsula is home to some globally unique ecosystems that support an amazing variety of flora and fauna. Orchids thrive here and we not only have 44 species living here on the peninsula, we also can boast some incredibly rare wildflowers such as the dwarf lake iris, nodding trilliums and the lakeside daisy. Each year we gather friends from near and far to celebrate the bounty here and to view these fantastic flowers in their natural habitats. In fact, many of these flowers are so picky about their habitats (and the surrounding structures and supporting organisms) they will not survive anywhere else and will promptly perish if moved. A weekend of activities allows us to visit several locations to spot unusual and shy species and informative speakers help us to understand more about the environments and systems that support them. Trained interpreters and local enthusiasts work together to help showcase what is here with an emphasis on good viewing practices with preservation in mind. Generally held around the first weekend in June so that a maximum number of exceptional blooms to be found, this is an event not to be missed by nature enthusiasts and orchid fanciers alike. Started in 2016, the Tobermory Trail Race Weekend runs every September. Saturday features both full and half marathons plus relay events on the beautiful Bruce section of the Niagara Escarpment. Following the Bruce trail for most of their distance, the full and half marathons cover rugged trails and provide breathtaking scenic lookouts. A third and very popular event is the Sunday morning Sunrise 5k on Flowerpot Island. Racers meet in the chilly morning darkness to board a high-speed vessel that whisks them across to the island. The arrival at Beachy Cove corresponds with the first glimpse of the sun on the horizon. The racers, strictly limited in number, are quickly marshalled to the race start and sent on their way. Covering a number of the trails on the island, this race also takes in the island's light station, and loops around to finish there for a hearty hot breakfast served up by the Friends of the Bruce District Parks. This trail race is a great warm-down event for the long course runners of Saturday, or a perfect competition for those who prefer more manageable distances on somewhat less challenging terrain. At the 5K finish line, the much sought-after Friends breakfast will not disappoint. Have a taste for yourself with this Youtube clip to the right. The Sunday 5k sunrise run and breakfast event sells out almost immediately, so if you wish to participate, you'll need to go visit the website by CLICKING HERE and keep an eye out for registration opening. Another potential way to be involved is to volunteer on the breakfast committee. Limited spaces are available to spend the night on the island and wake up with the birds to make sure everything is hot and ready to go. For more information, EMAIL US HERE . In 1998 the Friends began The Volunteer Lightkeeper Host Program. This program allows volunteers to live at the lightstation for several days at a time. While on site, these volunteers perform the duties of a modern day lightkeeper. A volunteer lightkeeper’s stay is a working vacation! 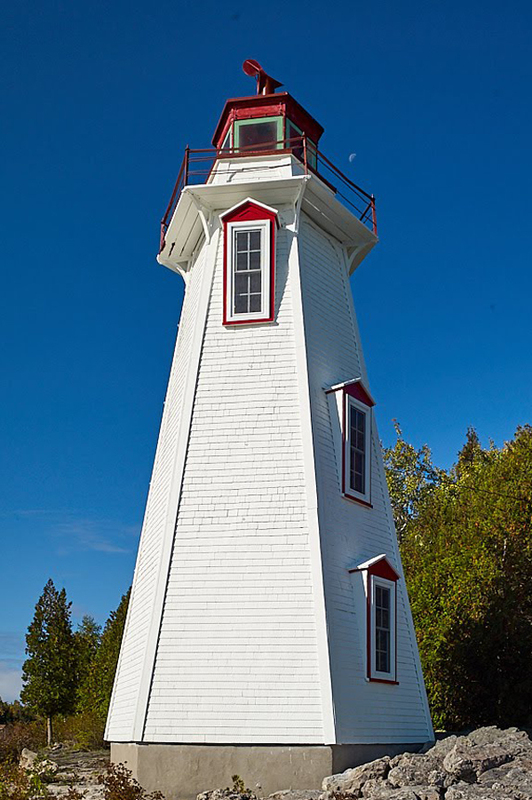 Modern day lightkeeper duties include but are not limited to: greeting visitors, care and maintenance of lawns and gardens, providing a presence in the museum house and managing the sales/donation area. While on duty, volunteer lightkeepers represent the Friends and Parks Canada. Hosts live in the furnished, three bedroom lightkeeper’s cottage which is equipped with a solar refrigerator, dishes, pots/pans and cutlery. Hosts cook in the outdoor cookhouse equipped with a propane stove and a barbecue. There is a furnished living room and three bedrooms. Basics such as drinking water, toilet paper, garbage bags, dish soap and cleaning products are supplied. Duvets, comforters, sleeping bags and pillows are also provided. If you would like to learn more or want to become involved with the Friends and the Flowerpot Island Light station please contact us below to receive our Host Program information package.